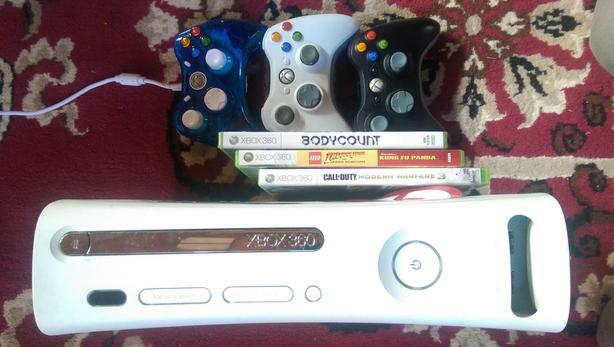 Xbox 360 60GB in good condition. Comes with AV cables and power supply. 3 controllers. 3 games. Headset. Falcon v2 -- August 2008.